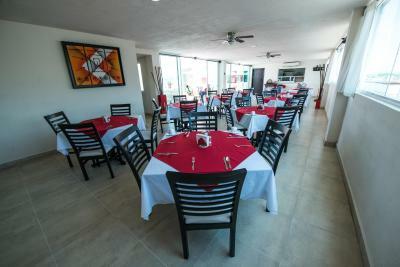 Lock in a great price for Hotel Portonovo Plaza Malecon – rated 8.3 by recent guests! The breakfast was great and the location is excellent. Beds are very comfortable. Very good air-conditioning and ceiling fans. Very nice modern hotel. Good ac and water pressure. Excellent free breakfast. Hotel is not on the Malecon but is near a small park and several good coffee shops. clean room, great location, very good buffet breakfast. WE liked the room, it was very clean and had air conditioning. when we returned home every time there was a bad odour. not sure where that was coming from. we looked onto hotel el pescador. was noisy at night . We wish we had stayed on the beach in a quieter area. The staff were very accomodating and nice. A great place with wonderful staff. Enjoyed our stay! The room comes with breakfast which was very good. 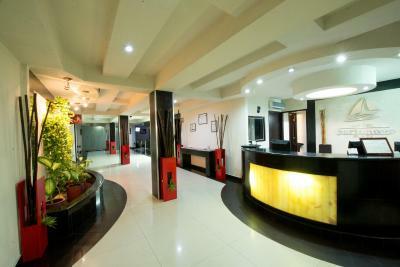 The rooms and facilities are very modern and clean. The rooms are small without much counter space especially in the bathroom. Good value for the price. Hotel is new and up-to-date. decent breakfast. 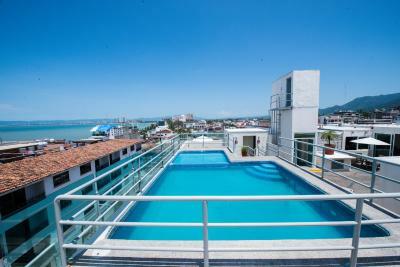 Good location, only a few blocks from the Malecón, and two from the ocean. Check out Mango’s beach bar, ocean-front only a block north. Rooftop breakfast was nice, and the staff was kind and friendly. 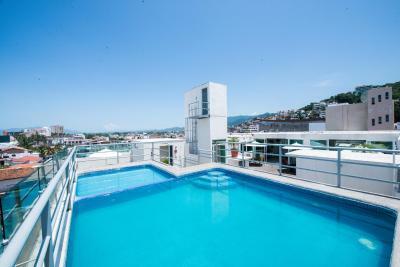 The location is superb for setting out on foot to explore Viejo Vallarta and the Malecón. 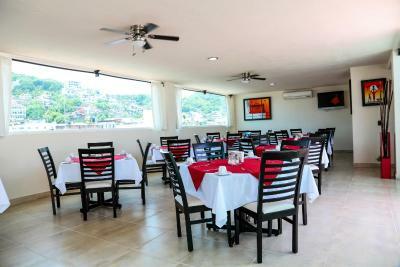 Hotel Portonovo Plaza Malecon This rating is a reflection of how the property compares to the industry standard when it comes to price, facilities and services available. It's based on a self-evaluation by the property. Use this rating to help choose your stay! Guests can dine in Hotel Portonovo Plaza’s restaurant, which offers international cuisine, or they can get a drink at the bar. They can also use the gym or the business center. Rooms at the Portonovo Plaza Hotel have soundproof windows and a private bathroom. 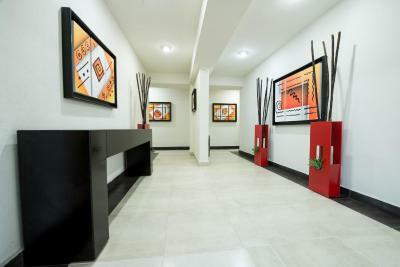 Guests can use the WiFi or watch cable TV. 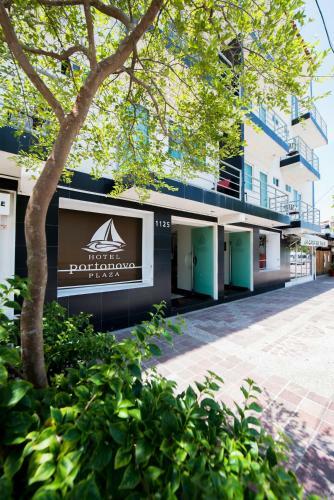 The Hotel Portonovo is a 2-minute walk from the Malecon Boardwalk, which features vendors, artists and street performers. The beach is one-minute walk from the hotel. 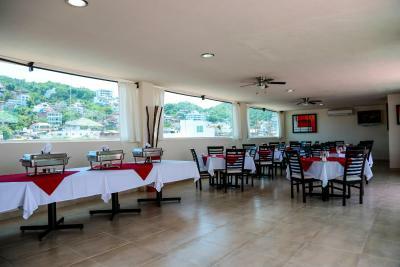 When would you like to stay at Hotel Portonovo Plaza Malecon? 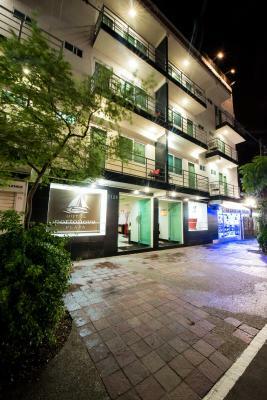 Decorated in an elegant contemporary style, this air-conditioned room offers free Wi-Fi and an LCD TV with cable channels. The private bathroom includes a shower and exclusive toiletries. Two twin beds or one double subject to availability at check-in. 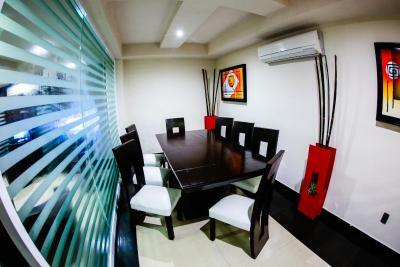 This air-conditioned room features contemporary décor in red, black and silver colors. It comes with a 32-inches flat-screen TV, free WiFi and a private bathroom with free and exclusive toiletries. There is also a desk, a wardrobe and a phone. Iron and ironing facilities can be requested at the reception. The breakfast included is for 2 adults only. House Rules Hotel Portonovo Plaza Malecon takes special requests – add in the next step! Hotel Portonovo Plaza Malecon accepts these cards and reserves the right to temporarily hold an amount prior to arrival. Please note that the parking is it's not guaranteed and depends on availability. Children from 0 to 8 years old stay for free. 9 years and older pay the adult fee. Only four sunbeds and the pool is very tired. I did not use these facilities. Perfect if you're going to be busy and not spend much time in the room. Was a very comfortable stay and good value for money. Everything was pretty darn good. Staff need to have quieter conversations. With tile everywhere, loud voices carry throughout the building on every floor. 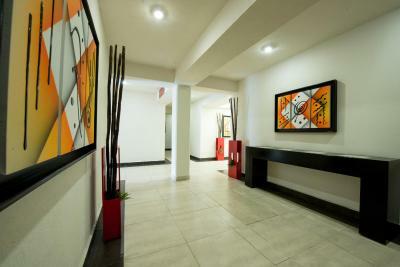 Well located near malecon, restaurants and 1 block to the beach. Free cooked breakfast was excellent. Rooms very small and lack storage and countertop space. Pool was small which was fine but the glass surrounding it was cloudy and dirty and impeded an otherwise beautiful ocean view. Modern, clean accommodation in a great location. Breakfast was really good and staff spoke good English. Internet did not work. Rooms are quite small. Mattress covers were crinkly. Lovely furnishings and art, nice little balcony with a view over the street. Nice little pool on the roof. Good air conditioning in the room. Breakfast could be hotter where necessary. Beds are very hard and uncomfortable, also bathroom door needed repair wouldn’t shut properly. Breakfast was ok, not many choices at all. towels and linens were scarce---there were no blankets on the bed--it was warm so it was OK, but just a bit strange! air con did not work very well! Shower leaked water onto the bathroom floor. Bed was uncomfortable. Couldn’t lay in the sun near the pool. No place in bathroom to put things. 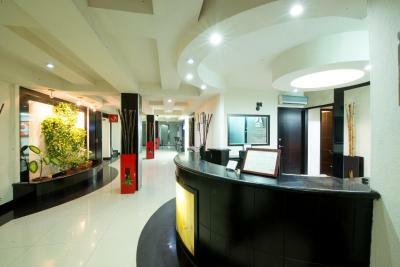 The front desk was very nice. Food at breakfast could have been warmer.